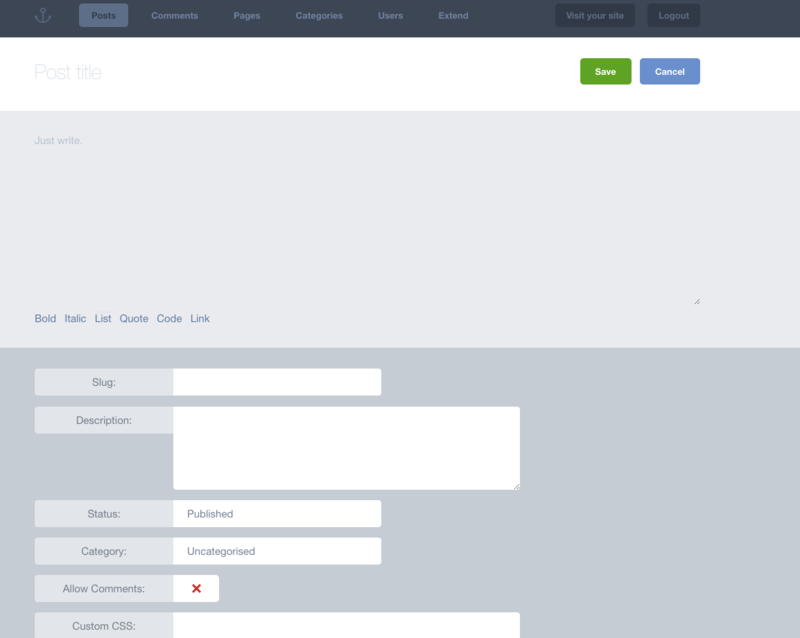 Want to quickly see how the open-source software Anchor CMS works? 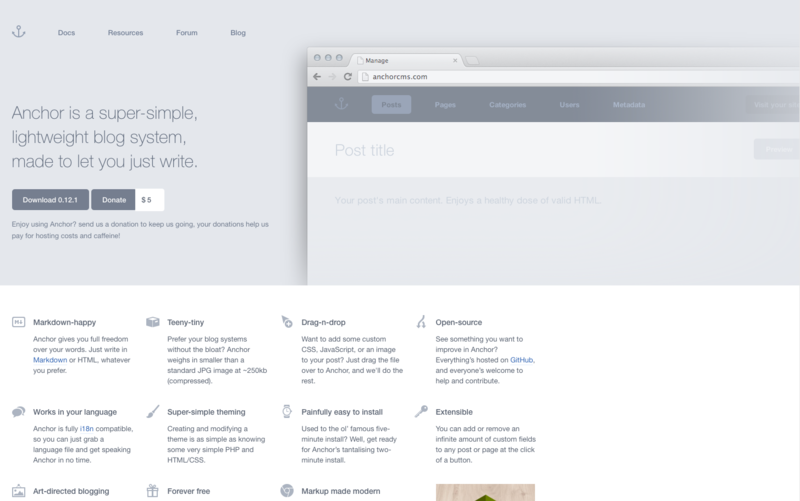 You'll find a free and updated demo installation of Anchor CMS here. Anchor CMS is a free open source blogging system with lightweight features especially designed to focus on writing and art-directed blogs. 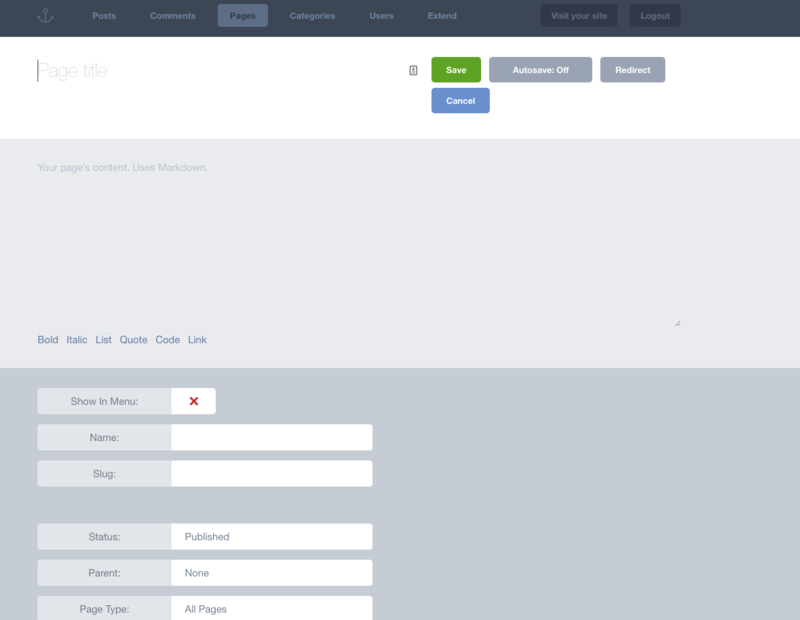 The admin interface shows only the essential features, like creating a new post, creating pages, managing comments, categories and users and creating custom fields. Contribution to the project on Github is highly encouraged, so if you have the skills you can help develop new features or themes for this content management system. To get a complete review of this CMS you can click on the links above to see how an Anchor CMS demo looks like. The admin demo will walk you through the available features and you can customize the appearance of the online demo through themes. You can also set up your own Anchor CMS demo clicking on the link below to download the archive from Github. The screenshots below will give you a preview of how the admin demo looks like.